McLaren will launch sixteen new models in the next six years, and while the 3.8 twin-turbo V8 remains in the lineup, Woking will invest £1 billion is research and development to end up with a smaller engine option, lots of hybrids and a fully electric supercar by 2022. McLaren is on a roll, selling its highly profitable special editions like hot cakes and coming up with amazing core products like the new Sports Series. McLaren Special Operations couldn’t be busier either, but Woking is just about to shift to an even higher gear after returning profit once again in 2015. $1.4 billion. That’s how much McLaren is investing in ‘Track 22’, their business plan for the next six years. The 570S Spider. You’ll have it by 2017. Hybrids. 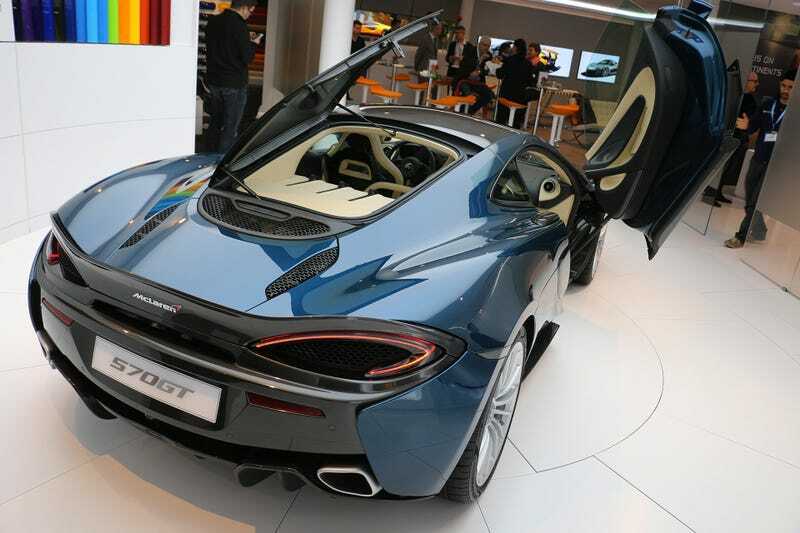 McLaren says more than fifty percent of their lineup will get electrified in the following years. Long Tails. Since the 675LT sold out almost as fast as the 675LT Spider did, McLaren will Long Tail everything, making it a sub-brand. A track-focused Sports Series? We are up for it! An EV. A fully electric sports car is just one step up from the hybrids, and since Audi has an R8 E-Tron already with more to follow, McLaren’s announcement should come as no surprise. What’s new though is that McLaren is planning to make the Ultimate Series electric, meaning that the P1's successor is likely to be a 1,000+ horsepower battery warrior with all the torque in the universe. But since they are in the early prototype stages at the moment, only time will tell if this setup could work or not. A smaller engine. TTV6? You tell me. But don’t worry, McLaren will also keep its 3.8 V8 alive. There’s still much more to come from that engine than the 727 horsepower it produces in P1 tune. The smaller unit should debut after 2020. McLaren is also planning to stay independent financially, unlike Ferrari or Lamborghini. Is the 570GT really that practical? It has a hatch after all! Well, they softened the springs, changed the steering ratio, used the quieter Pirellis, replaced the carbon brakes with regular steel rotors for longevity and comfort, and I probably shouldn’t tell you, but McLaren Special Operations is already working on a electrochromic glass roof for the car, just in case you plan on driving it in the desert. But more importantly, thanks to the doubled cargo space, it will fit McLaren’s bespoke luggage just fine. Whatever. I think it’s a prettier car than the standard coupe, and if you’re planning to travel a lot, it’s definitely worth the extra $10K for the added equipment alone. Finally, how about that electric P1 plan? Are you ready for such a radical step into the future? I mean, what’s a P1 without its flamethrower at the back? I guess we have a few years to get used to the idea. In the meantime, here’s a naked example for your viewing pleasure.